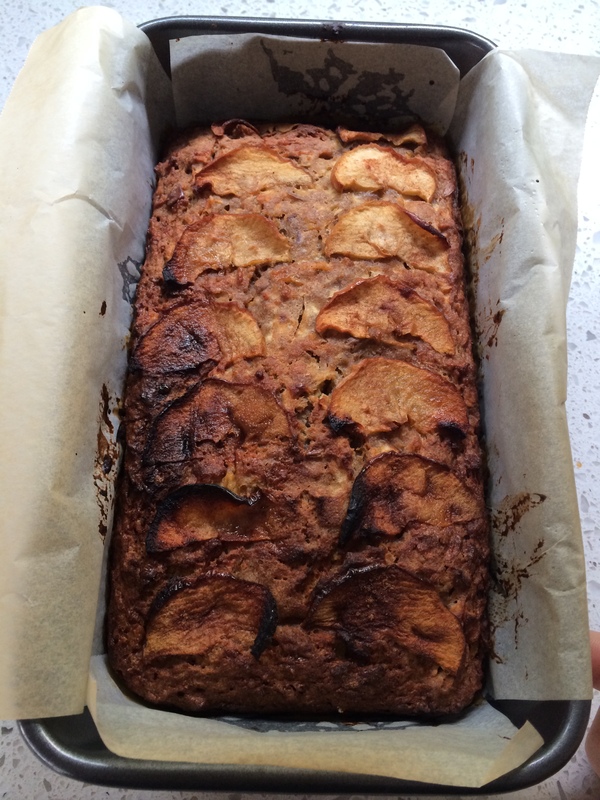 I had a quick look at my favourite website – The Healthy Chef and decided on the apple and cinnamon bread. The Healthy Chef recipes are usually sweetened with honey, dates or maple syrup so I was surprised that this one didn’t have any sweetener in it at all. The original recipe does say don’t be tempted to add any sugar as the apples will be sweet enough. 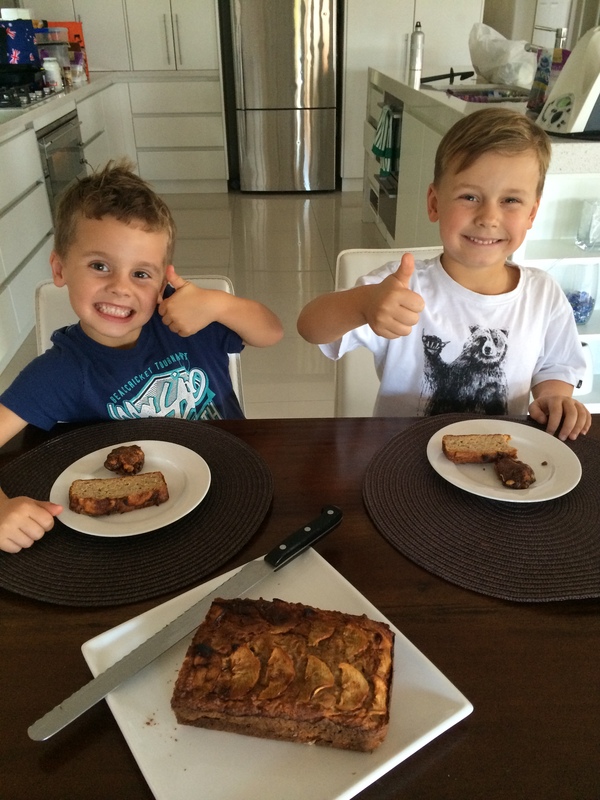 It got the thumbs up from my nephews so safe to say, it was sweet enough. 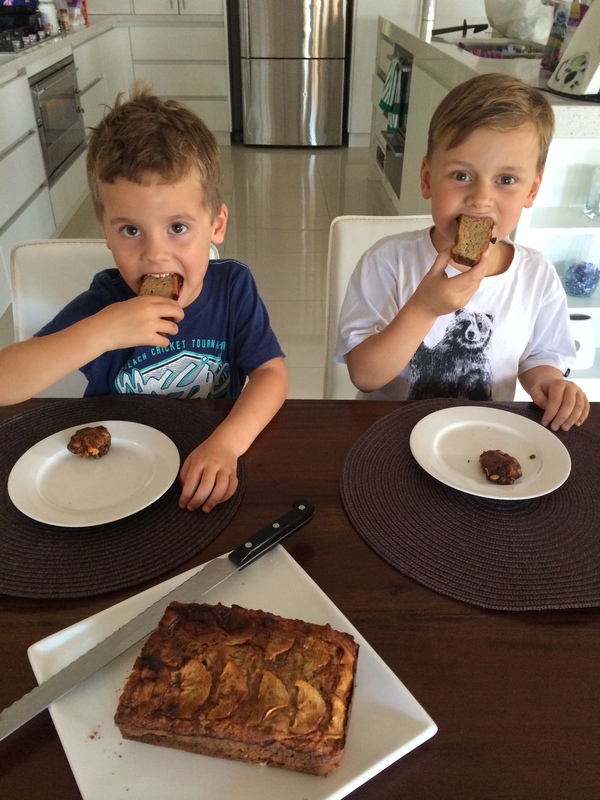 I have converted the recipe to Thermomix however the original recipe can be found here. Chop apples for 3 seconds on speed 4-5 or until grated. Then add the baking powder, salt, eggs, oil, cinnamon and vanilla into the bowl and mix on reverse, speed 2 for 10 seconds. 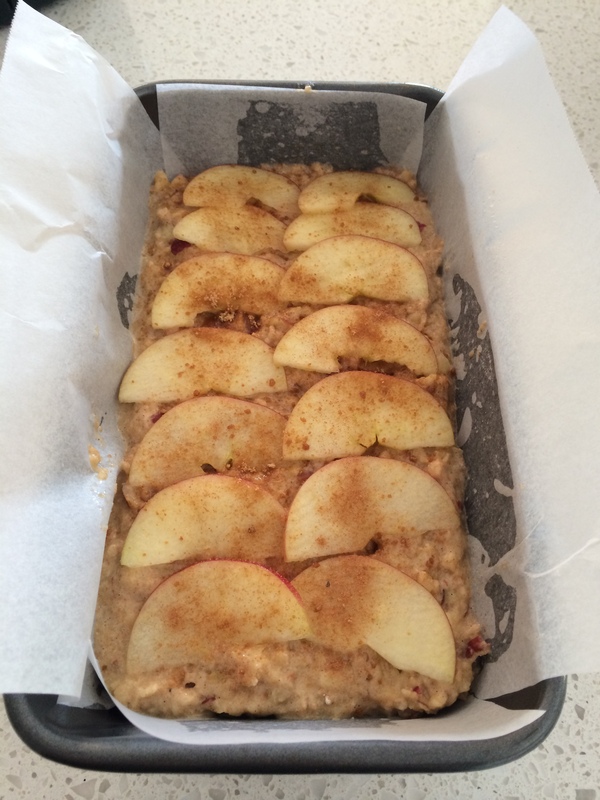 Add the spelt flout and mix on reverse, speed 1.5 for 20 seconds. Line a loaf tin with baking powder and pour mixture into loaf tin. I thinly sliced up another fuji apple and layered on top with a sprinkle of cinnamon. Bake for 1 hour or until a skewer comes out clean. I had to cover my tin after 45 mins as it started to brown too much on top. I then baked for a further 10 mins. Remove from oven and allow to cool for 1 hour before taking cake out of the tin. My favourite cafe in Australia! 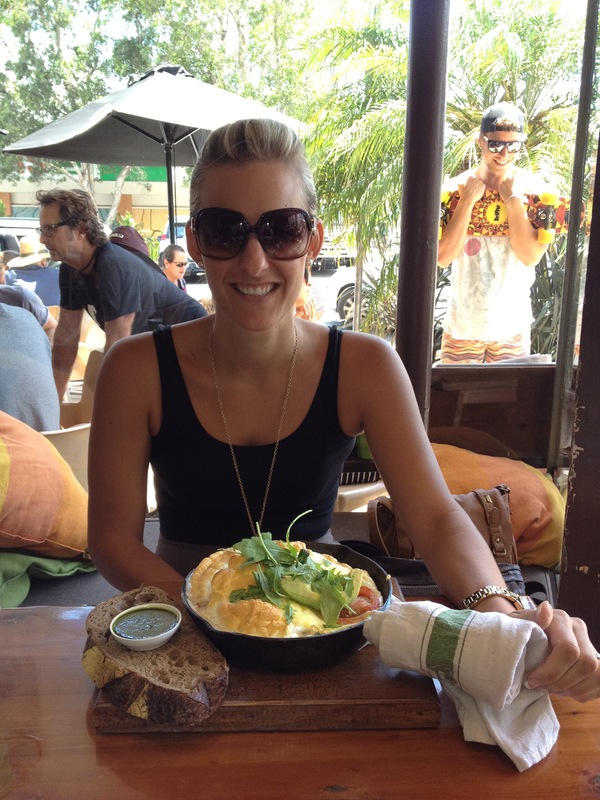 This is a picture of me at the Healthy Chef Cafe in Avalon, Sydney which is owned by Teresa Cutter, the Healthy Chef.